Inspired by David Sparks (aka, MacSparky), co-host, along with Katie Floyd, of the popular Mac Power Users Podcast, I am finally writing a book finishing a book that will be published using iBooks Author. David has published four books using the platform, most notably, Paperless. I wrote a review of iBooks Author when it was first released in 2012, but back then I had no actual idea for writing a book using the platform. But as I listened to David talking about using the platform for his Paperless book, I realized how appropriate it would be for a book I was thinking about writing. The tentative title of my book is, Starting From Day One: Using Digital Journal Writing To Enhance Your Life. 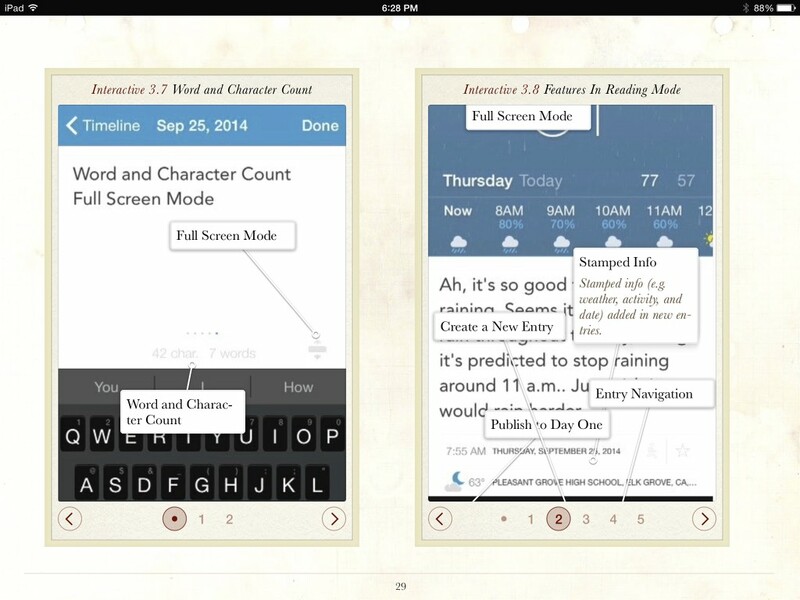 Part of the book will be about using the the journal writing Mac and iOS app, Day One, and the second half will include strategies, suggestions and tips for journal writing. I’m very excited about writing the book, primarily because it’s a subject that I have written about before, and because I think iBooks Author provides the perfect platform for the purposes and content of the book. The design of an iBook is similar to an interactive website or digital magazine, both of which read great on the iPad. 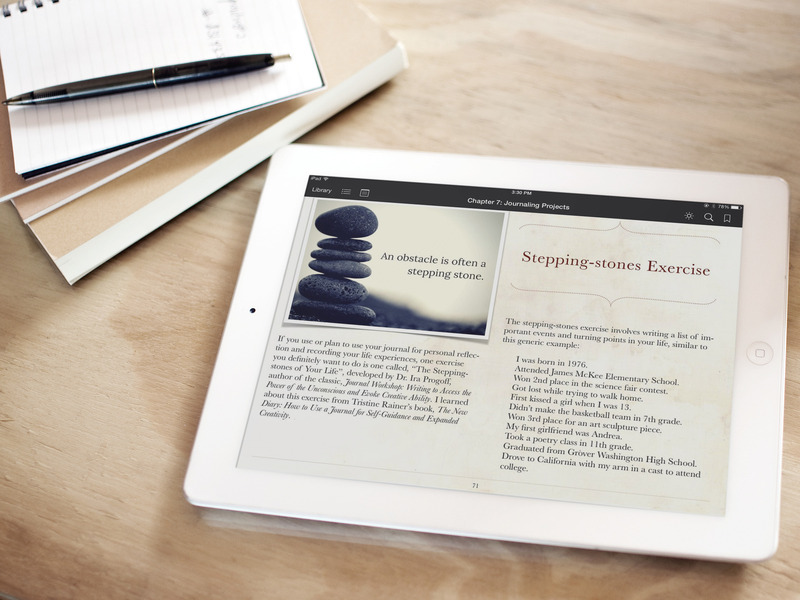 A true iBooks book includes interactive features, such as image galleries, short videos, short keynote presentations, “quizzes,” sidebar content, and a glossary. These features are most useful for a textbook, but they lend themselves perfectly to an how-to tech book. I think users of the iPad will feel right at home reading and using an iBooks book because they are accustomed to tapping on photos, watching videos, and linking to other resources. One of the drawbacks however to the iBooks reader is that it doesn’t include a built-in web browser, so when you tap an external link in an iBooks book, it takes you to the Safari web browser. As with its other media creation software, Apple has made it reactively easy to bring text and other media into iBooks Author for laying out and creating a book. There are several websites for purchasing well designed iBook themes (I’m using a theme from GraphicNode) which cuts down on the design costs for self publishers. Finally, producing a book in this platform gives me complete control over its content and publication. I don’t have a publishing company setting deadlines and cutting costs (e.g. color photos and printing costs), and I will earn 70% on each book sold. My goal is to finish the book by the end of May, and spend most of the summer trying to promote it. It’s one of the most exciting projects I’ve worked on in quite some time.